PARIS, NOTRE DAME – This week is Holy Week when millions of Western Christians mark the death and resurrection of Jesus. 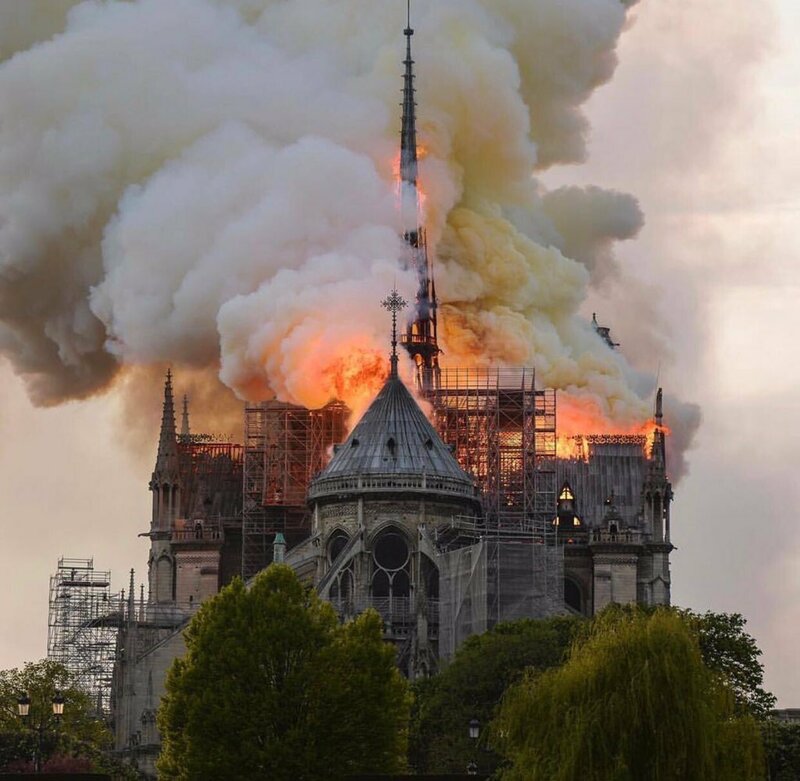 Under normal circumstances, Notre Dame Cathedral in Paris would have been preparing to display its holy relics to the faithful on Good Friday. For generations, Notre Dame has been a place of pilgrimage and prayer, and, even as a religion in France has declined for decades, it remained the beating heart of French Catholicism, open every day for Mass. The shock at the #NotreDameCathedral fire is spreading round the world. It is an iconic building visited by millions but more importantly is a symbol of faith which is at the heart of Europe. We pray the fire is extinguished quickly & with a shared effort the building made good. As the flames, rage Archbishop Michel Aupetit of Paris, whose home church is the cathedral, issued a plea for his priests to pray.